Need to kickstart your business? Beautiful website design begins here. ALACreative offers design options to fit your needs, so you can find exactly what you want. Consider us an extension of your business. Thank you! We can’t wait to help grow your online presence! Your business is different from everyone else’s. Your website should be too. Own your business’s website with our tiered cost levels and plans to best suit your budget. 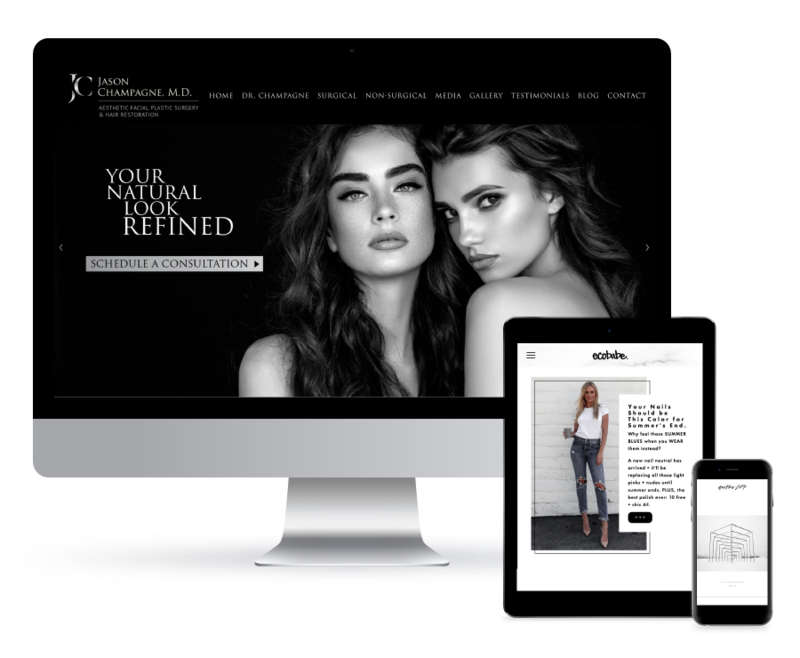 Whether you’re a small or big business owner, a blogger or creative, or looking to sell products online, ALACreative will help your web presence stand out. Basic, but far from basic. Grow your business’s online presence without the five-figure price tag of a custom coded project. With every website we create we put in the time and effort to creating a design that fits your business and your brand. And you don’t need a custom coded site to do that. Yes there are benefits to that but we realize starting a business takes time, effort and costs that may not be plausible. The Business Basic Plan gives you a chance to get a site up and going so you can start focusing on running the actual business. Do you need an additional blog, e-commerce shop setup, or interested in hosting services? Check all that apply. Thank you! We look forward to helping your business grow! Everything you need, plus a little extra. Does your business need a little kick start to help it grow? With our Business Plus Plan, expand your online presence with the care and attention to detail it needs to help it move in the right direction. Your business may have a solid plan and brand identity (or it may not) but does it still feel like it’s missing something? This plan offers you the choice to develop a site that dives deeper into your business and gives your visitors more content to play with, thus allowing more time to convert visitors into paying customers. Let us figure out what can help move your business in the right direction and get it on track to the black. Whether you’re beginning a new business that has a lot of moving parts, redeveloping your online presence, or you’re tired with your outdated website and looking for something fresh that fits your market, we’re here to help collaborate on a website you’ll be proud to share. Our Business Premium Plan gives you everything you need and more without having to worry about page count, domain and Google Analytic setup, and any UI and UX mumbo jumbo so you can include every little detail your company needs to reach and convert its visitors. Plus, our Business Premium Plan comes with Initial SEO Development so your business has a better chance to show up in online searches (we’ll also discuss what you can do in order to get your business higher search ratings). You can fully develop your online presence further as an extension of your brand, business and the people who work with so you can sit back and relax until your next meeting. Need a Blog? For the influencers and those who have a lot (or a little) to say, add a blog, journal, news or whatever you’d like to call it. Selling things online? Add an e-Commerce shop to any plan and let us showcase your products in a way visitors won’t be able to keep from buying. Need help with hosting? Want a website without the trouble of setting up hosting, domains, and all those other things required to get a website working? Our hosting services start at $85/month*. Let us take care of logistics and hosting so you can focus on running your business, letting you breath easy knowing your site will work. *monthly cost will depend on domain, hosting, content management, etc.